Tony Buck – Hi, my name is Tony Buck , I am currently serving on the 2015 San Diego Aces Board of Directors as course rep for Kit Carson Park. As course rep for the past four years I have helped the course grow with new pin positions that change often, new obstacles, benches etc. and would like to continue to help grow the course in 2016, after all Disc golfers deserve the best courses possible to play on. Have a great day on the course. active board member, I have managed the club’s membership inventory, tracked club members, and provided monthly email newsletters. I am also very involved in running and participating in local events. In 2016, I hope to continue being involved by working with the membership in our club, by providing quality events for our members, and by helping to grow the sport in our community. Thank you again for your support of me and of the club! Chad Holiman – I started playing disc golf in May of 2014 and in less then two years I came to love the sport and do all that I can to help become an embassador of the game. In march of 2015 I helped start Hardline DG Club. As president, I organized numerous events to give disc golfers more chances to compete. The first official event I ran was the Trilogy Challenge at Sun Valley DGC in July 2015. In september I directed the Battle At Brengle tournament in Vista. I have organized 2 seperate putting leagues for the San Diego County to compete and improve their game. Plans are in motion to run at least 4 events in 2016 so far. I look forward to growing the sport that I love so much! Allen Risley – I have been throwing Frisbees and playing disc golf for quite a while, playing in my first competitive event in Florida in 1978 when I was in high school. I joined the PDGA in 1979, played in three Pro Worlds in the early 1980’s and created the first PDGA Course Directory in 1985. After a break from disc golf for a few years I started playing again and was one of the first members of the S.D. Aces when it formed in 2007. When Montiel Park added its disc golf course in 2008, I joined the Aces Board as a Course Rep. I served as Secretary 2012 and have been President for the past three years. I enjoy playing disc golf, but I also enjoy creating more places for people to play the game and holding events for the players. This past year I worked with the City of Santee to add Mast Park to our list of local courses and partnered with Pro Kids Golf Academy to install the Colina Park disc golf baskets. In past years I worked with the City of San Marcos to get the Montiel Park and Sunset Park courses installed, and worked with campus officials at CSUSM to add a course to the campus. I was involved in designing the disc golf layout at Goat Hill and have run several tournaments there. Except for Goat Hill and Colina Park, all are free-to-play. I have been Tournament Director for PDGA tournaments at Goat Hill, Emerald Isle, CSUSM, Kit Carson Park and Sun Valley, as well as 10 Ice Bowls, 8 Ace Races, 3 World’s Biggest Disc Golf Events, and weekly doubles at Montiel Park. 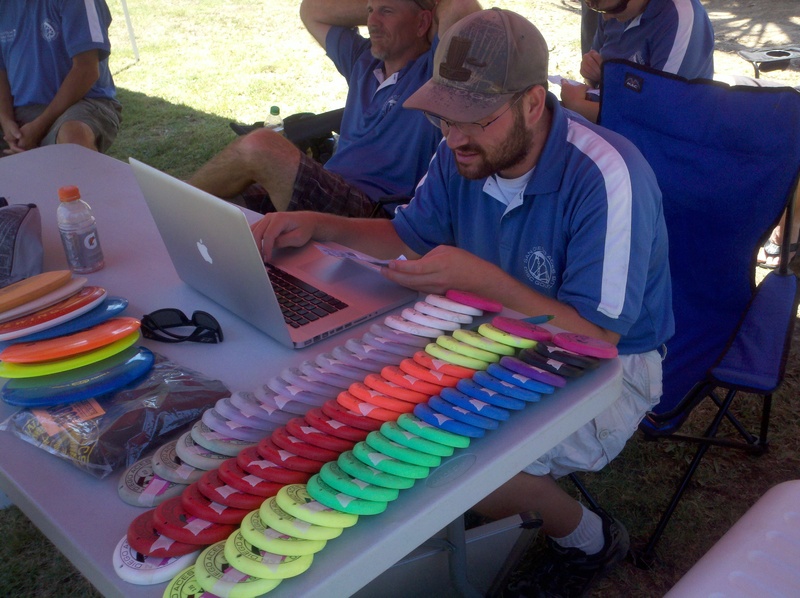 For the past six years I have been managing the Aces’ web site and Facebook page and have done the same for SoCal Disc Golf Association for the last four years. And in 2012 I was honored with a spot on Innova’s Ambassador Team. I feel like my track record shows that I am an active and effective supporter and promoter of the sport of disc golf and disc golf in San Diego County. I would appreciate your support. Respectfully, Allen Risley, PDGA #1752. 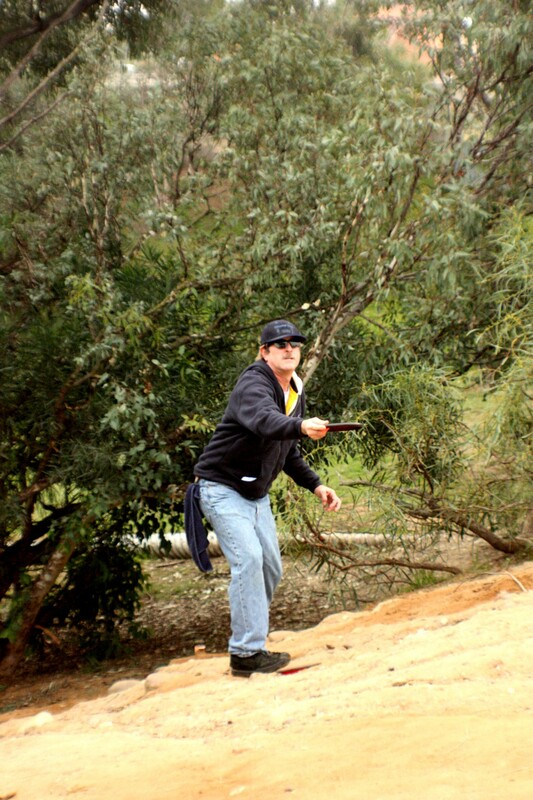 Randy Wylot – As a volunteer in the disc golf community over the past 8 years, I have had the privilege to help in one way or another plan and install a number of San Diego County courses, run or assist in organizing and planning player events, and organizing and volunteering outside community events to help educate the public on the benefits of playing disc golf. This year I ran the Mission Bay ice Bowl, planned and helped run The Battle @ Brengle, Assistant TD for the Sun Valley Open, organized and volunteered in two two community beach festivals, one in Oceanside and the other in Chula Vista, and organized television spots on local networks featuring disc golf in the San Diego County. I also have been active in the Southern California Disc Golf Club acting as President for the past four years, organizing PDGA events and TD for the SoCal Series Championships. 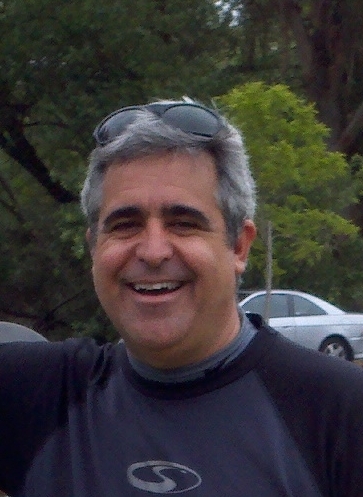 I look forward to another exciting and successful year participating in the San Diego disc golf scene. Chad Nichter – My name is Chad Nichter. I’m originally from Fort Wayne, IN and I’ve lived in San Diego for four years now. I’ve been playing disc golf for about years. I became addicted to the sport very quickly and now I can’t stop playing. While I was in college, I was in a fraternity, so I am very familiar with how organizations are run and what it takes from every member to be successful. Currently, I am working in the financial services industry and was a finance major in college. Although I haven’t been playing very long, I love the sport and want to help continue the success of the Aces and keep the sport growing. Matt James -I first started playing Disc Golf about 17 years ago as a way to get my kids out of the house and spend some quality time walking through a park, Morley Field to be exact. About 4 years ago my oldest son Logan started taking disc golf serious, and in an effort to go try to go somewhere with disc golf we found Kit Carson and started playing there. From there we, Logan and I, started playing some tournaments. Shortly after finding Kit Carson we joined the Aces Disc Golf club. I have been serving as Treasurer for the past few months. Since I have been involved with Aces Disc golf we have helped put in Mast Park in Santee and we enjoy playing disc whenever we get the chance. I continue to play as a way to keep up with my kids and to enjoy life. I am truly a Rec. player and I play for the fun, not for glory.